Between 1977 and 1980, photographer Charles H. Traub (born 1945) ventured onto the streets of Chicago, New York and various European cities to take photographs of their inhabitants–male and female, young and old-at lunchtime. Colorful and direct, animated and intimate, the portraits are shot close to the subjects, composed seemingly off-the-cuff, focusing on just their heads and shoulders. Each subject reveals something of himself or herself to the camera: the woman who takes the opportunity to pose in dignified profile or the one who purses her lips in an exaggerated pout, even the somewhat less fortunate subjects caught adjusting their glasses or blinking. 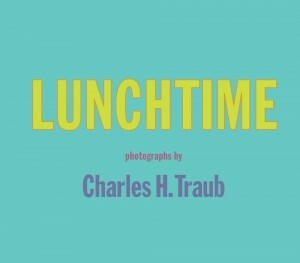 Charles H. Traub: Lunchtime is the first comprehensive publication of these striking color images, which were exhibited in the early 1980s in Chicago, New York and Milan. This volume maintains the cheerfulness and joy of the series, with lively pairings of photographs encouraging viewers to associate one individual with another in a new narrative of the street.